If you handle coolant, oil and brake fluid, or other chemicals in the workplace, OSHA requires you to complete safety training before even entering the automotive shop, and then at least annually after. Giving you the very latest OSHA safety training modules in a convenient online format. As an automotive shop professional, the EPA and OSHA make changes regularly that impact you. Recently, OSHA revised its Hazard Communication Standard (HCS) to align with the Global Harmonization Standard (GHS). The OSHA deadline to complete automotive safety training classes was December 1, 2013. In order to remain in compliance, you need to be aware of this change, new labeling elements and a new standardized format for SDSs (formerly known as Material Data Safety Sheets or MSDSs). Register for a Safety course today! Under the DOT regulations (Title 49 Part 172.702), any employee defined as a hazmat employee is required to complete hazardous materials training. Training must be repeated in its entirety (not just updated or refreshed) at least every three years. Provides the very latest DOT-compliant training modules – online, anywhere you have Internet access. Purchase HazMatU training today, it's fast and easy! As an automotive shop professional, OSHA requires you to complete safety training at the beginning of your employment (before even entering the shop) and at least annually thereafter. Access online, anywhere you have Internet access. 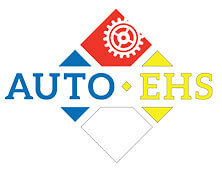 The EPA and OSHA make changes regularly that impact you and the automotive industry overall. For example, OSHA revised its Hazard Communication Standard (HCS) to align with the Global Harmonization Standard (GHS). As an automotive professional, you need to be aware of this change, new labeling elements and a new standardized format for SDSs (formerly known as Material Data Safety Sheets or MSDSs) in order to remain in compliance. CCAR provides its e-learning programs to secondary and postsecondary technical schools, making this important information available to the coming generations of automotive professionals. CCAR training covers your entire faculty and student body under one training subscription, giving them the very latest OSHA and EPA pollution prevention and safety training modules – online, anywhere there is Internet access. Schools receive our 20 course Safety bundle pack and our HazmatU training for a discounted price of $299 (a 50% discount!). Call us today at 1-888-476-5465 to purchase your course pack. For more information, just call CCAR at 1-888-476-5465 and one of our friendly staff will help you get your school started on the path to staying SAFE, CLEAN and GREEN. If you handle chemicals in the workplace, such as coolant and oil and brake fluid, OSHA requires you to complete safety training at the beginning of your employment (before even entering the shop) and at least annually thereafter.